Music wouldn’t be the same without Broadway musicals, movie soundtracks, and music on television. When it comes to twentieth-century music, the one name with an indelible influence in this era is that of American composer, pianist, and songwriter George Gershwin. Straddling both popular and classical music, George Gershwin (1898-1937) is one of the legends of American music. 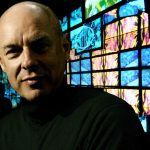 A prolific songwriter, who is said to have written up to six songs a day, his music continues to be enjoyed the world over. Born in Brooklyn in New York City on Sept. 26, 1898, George was the son of Rose and Morris Gershovitz, immigrants from Russia. Beginning his tryst with music relatively late at the age of twelve, he began playing the piano. By the time he was a teenager, he had dropped out of school and was earning a living in music as a ‘song-plugger’ — pitching sheet music in department stores — on New York’s Tin Pan Alley. This alley was where popular music became a big business. Music publishing houses released popular songs each year and musical theater and private parlors rang with the sounds of ragtime, romantic ballads, and comedy songs. Though George had only had some preliminary classical training, he was such a fluid performer and composer of popular songs that he soon became a part of the flourishing business. Eventually, Gershwin published his first song, “When You Want ‘Em You Can’t Get ‘Em; When You Have ‘Em, You Don’t Want ‘Em” in 1916 for which he earned $5. He wrote “Swanee” in 1918 and played it for Al Jolson, who loved it, added it to his show Sinbad in 1919, and gave Gershwin his first blockbuster hit. The song sold more than 2 million recordings and 1 million copies of sheet music. In 1919, with Gershwin’s first complete Broadway show – La, La, Lucille, his meteoric rise to fame began. Lady Be Good! (1924), his first Broadway success, was also the first full-scale collaboration with his lyricist brother Ira. George wrote dozens of songs for the annual George White’s Scandals on Broadway from 1920 to 1924 and wrote the entire show for 1920. His work attracted the interest of bandleader Paul Whiteman, who was the conductor for Scandals. Whiteman was working on a concert project titled “An Experiment in Modern Music” and commissioned Gershwin to write a symphonic work. 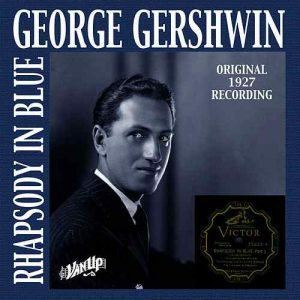 Gershwin produced his best-known piano work, Rhapsody in Blue that had the audience, including musical luminaries, expressing tremendous appreciation for his work at the première. In July 1925, at the age of 26, George Gershwin made it on the cover of TIME. His next phase began after a 1928 trip to Europe. George was ready to work on a larger scale than ever before. Adept at whole-tone, diatonic, blues, chromatic and other scales, and a master of rhythmic schemes, he began work on his folk opera, Porgy and Bess, his biggest and most ambitious work. During the 1930s, Gershwin and his brother Ira were one of the most well-known song-writing teams on Broadway. Their political satire, Of Thee I Sing, was the first Broadway show to win the Pulitzer Prize for drama. But it was Porgy and Bess that became Gershwin’s signature work. An instant hit, it toured non-stop for three years after its initial run. 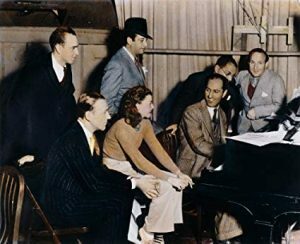 After Porgy and Bess, Gershwin moved to Hollywood and was hired to write music for the movies of the iconic duo of Fred Astaire and Ginger Rogers. It was in Hollywood that Gershwin reached his peak as a songwriter. The music for Shall We Dance, which was to be his first full score for a Hollywood movie, is immersed in the black culture and black music reminiscent of Porgy and Bess, but also flirts with the melodic sophistication of classical music. In the decades that followed his death till the present day, George Gershwin’s work has been used and heard in many movies, plays and on television. One of the greatest musical composers of all time, several of his concert works and an opera that have become standards in the contemporary repertory.